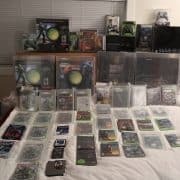 As an avid Halo collector I felt like rather than keep everything hidden away I would display some of what I have. Since taking this picture, I have added a lot of loose ends including a halo 3 system that is sealed/ new, and some variants of halo 2, reach, and halo 4. My first question to those of you who are also halo collectors is this, what else is there that I could be missing. Yes, I know that there is a lot of foreign stuff out there that I don’t have, I am only talking about US release versions and variants. I am open to the idea that I could have missed some things (leave comments at the bottom please). Outside of that, I would also really love to see everyone else’s collections as well! I used to be a part of a Halo collecting group until a few deals went south, then I went back to collecting on my own. There is a lot more excitement. 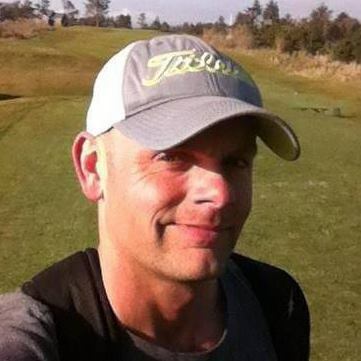 It wasn’t enough for me to just play it, I really loved it. I already collected Nintendo games at the time, so figured it would be a good time to start collecting Halo as well before those prices started going up. I’m really glad I did as my first purchase was a black label Halo Combat Evolved copy that I got off Amazon for $20 and it was perfect! Talk about a lucky score out of the gate. Since then the prices have all gone way up on everything. 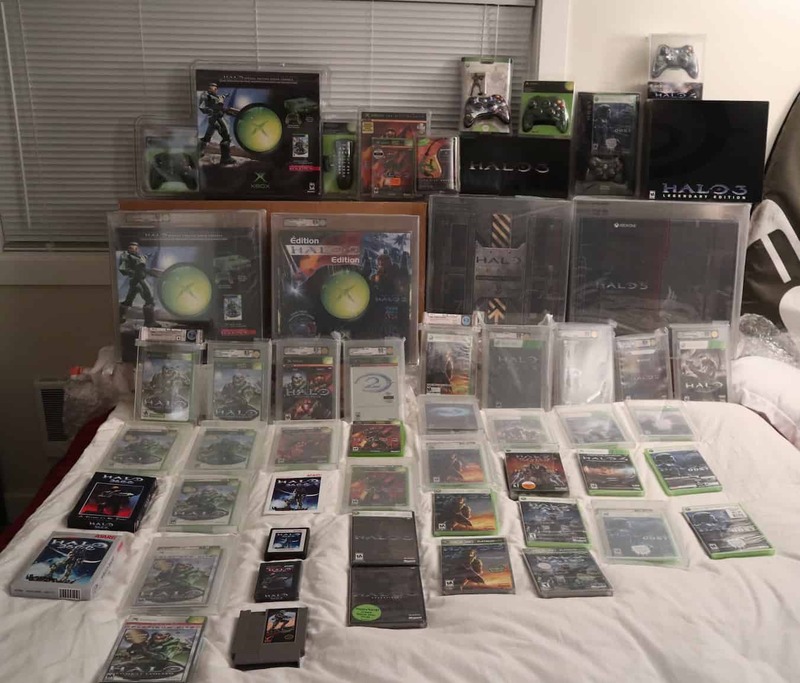 It just reminds me to get the big stuff out of the way first, but at the time, there really were no Halo collectors to my knowledge so I had no idea what big or rare was at that time. I would just buy whatever I found that I didn’t have and try and get it in the best conditions possible. Even with all my time at collecting Halo now, there are still some things I never bought because I couldn’t find the grade I wanted and I am starting to regret that a little now. I can’t count how many original Halo x-box systems I have had over the years trying to find a good one and just reselling the others for next to nothing…lol…oops. It is likely I’ll be saying that about even todays prices down the road. It is just part of the game. Now I truly do collect for the love of Halo and will only sell extra copies of stuff that I have or have upgraded. I’ll eventually add a video here of the same collection pictured above when I get more motivation to do so. I still have to edit it and upload it to youtube. So I’d really like to hear peoples stories about their halo collecting scores! Leave a comment below!